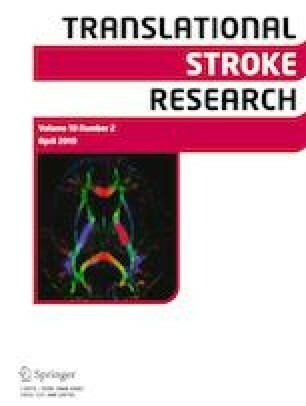 The chance for a favorable outcome after mechanical thrombectomy (MT) for large vessel occlusion stroke decreases with the symptom onset-to-reperfusion time (OTR). Patients with severe leukoaraiosis are at increased risk for a poor outcome after MT. However, whether leukoaraiosis modulates to the association between OTR and 90-day functional outcome is uncertain. We retrospectively analyzed 144 consecutive patients with successful (TICI ≥ 2b/3) MT for anterior circulation large vessel occlusion within 24 h form OTR between January 2012 to November 2016. Leukoaraiosis was dichotomized to absent-to-mild (van Swieten scale score 0–2) versus moderate-to-severe (3–4) as assessed on admission head CT. Multiple linear, logistic, and ordinal regression analyses were used to determine the association between leukoaraiosis, OTR, and 90-day modified Rankin Scale (mRS) score, after adjustment for pertinent covariates. Leukoaraiosis was independently associated with the OTR on multivariable linear regression (p = 0.003). The association between OTR and 90-day outcome depended on the degree of pre-existing leukoaraiosis burden as shown by a significant leukoaraiosis-by-OTR interaction on multivariable logistic regression (OR 0.76, 95% CI 0.58–0.98, p = 0.037) and multivariable ordinal regression (OR 0.87, 95% CI 0.78–0.97, p = 0.011). Pre-existing leukoaraiosis is associated with the 90-day functional outcome after successful reperfusion and impacts the association between the OTR and 90-day mRS among patients undergoing MT. Patients with high leukoaraiosis burden need to present earlier than patients with low leukoaraiosis burden for a similar favorable outcome. Pending confirmation, these results may have important implications for optimizing patient selection for acute stroke therapies. The online version of this article ( https://doi.org/10.1007/s12975-019-00703-0) contains supplementary material, which is available to authorized users. AGM, MM, SS, ASP, and NH acquired the data. AGM and NH were involved in the study design and data interpretation. AGM, MM, and NH drafted the article. NH conducted statistical analyses. All authors commented on the manuscript for important intellectual content. Dr. Henninger is supported by K08NS091499 from the National Institute of Neurological Disorders and Stroke of the National Institutes of Health. The content is solely the responsibility of the authors and does not necessarily represent the official views of the National Institutes of Health. Dr. Henninger serves on the advisory board of Omniox, Inc. and serves as consultant to Astrocyte Pharmaceuticals, Inc. Dr. Silver receives compensation as a surveyor for the Joint Commission, for review of medicolegal malpractice cases, and for adjudication of stroke outcomes in the Women’s Health Initiative. Dr. Puri is a consultant for Stryker Neurovascular, Scientica Vascular, Cerenovus, receives research support from Stryker Neurovascular and Medtronic Neurovascular, and reports stock options in InNeuroCo. Dr. Haussen is a consultant for Stryker Neurovascular and Vesalio. All other authors declare no competing interests. This study was reviewed and approved by our Institutional Review Board and procedures followed were in accordance with institutional guidelines and with the 1964 Helsinki declaration and its later amendments or comparable ethical standards. Health Insurance Portability and Accountability Act (HIPAA) waiver of authorization was granted. We adhere to the STrengthening the Reporting of OBservational studies in Epidemiology (STROBE) guidelines (www.strobe-statement.org). Raza SA, Barreira CM, Rodrigues GM, Frankel MR, Haussen DC, Nogueira RG, Rangaraju S (2018) Prognostic importance of CT ASPECTS and CT perfusion measures of infarction in anterior emergent large vessel occlusions. J Neurointervent Surg. doi: https://doi.org/10.1136/neurintsurg-2018-014461, neurintsurg-2018-014461.